The farming simulator RPG genre has always been a popular one. Harvest Moon/Story of Seasons took Nintendo systems by storm, and Stardew Valley has crossed platforms to become a global phenomenon. 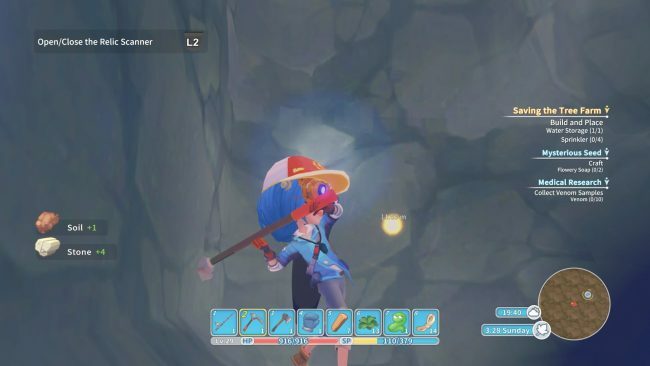 In a market geared toward gamers who enjoy stopping to smell the roses, My Time at Portia hopes to achieve similar status. You arrive in Portia to take over your Pa’s workshop. He left you a bare bones home and plot of land, and a letter that leads me to believe that maybe Pa has a few things he wants to make up for. So here you are, the newest carpenter in Portia, a mostly welcoming town ready and willing to put you to work. If you work hard and make a real effort to become part of this community, you’ll reap the rewards in no time. Everywhere you look is a resource waiting to be collected. From pebbles and fallen branches to hard stone and towering trees, I urge you to pick up everything you possibly can shove into your pockets. Presley will help get you started, and from there commissions posted at the local Guild board open up. Between story missions and commissions, you’re going to be a busy bee. There are several areas for you to exploit and explore for materials. The land surrounding Portia is littered with trees and shrubbery that you can have at and no one will give you the evil eye. If you’ve upgraded your pickaxe accordingly you can also destroy outcroppings of stone and marble hugging the western wall leading to the Tree Farm. But if you’re looking for ores, it’s off to the Abandoned Ruins for you. There are two areas; the first costs less to explore on a weekly basis and has lower end ores for you to collect, such as copper and tin. Up the road just a ways is the Abandoned Ruins #2. Here you’ll be able to dig out better ores which you can smelt as you improve the equipment at your workshop. 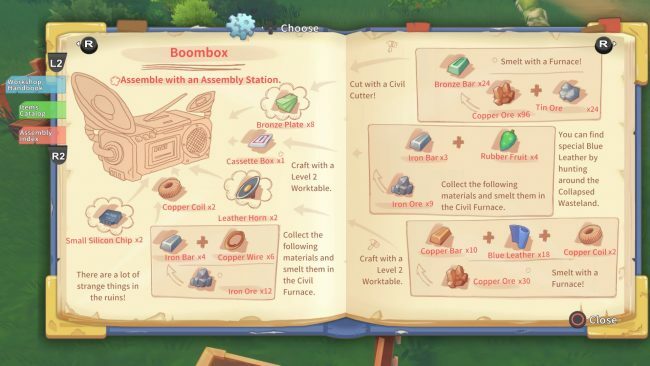 If there is one thing I regret in My Time at Portia it’s that for the first season of the game I did not have my crafting stations creating and refining materials at all times. Stockpiling refined bars of ore, smooth planks of wood, and the little bits and bobs that make for quickly filling daily commissions has become so important to me as time goes on. Russo needs hardwood planks but I also need to spend time spelunking one of the mines? No problem; I now have over one hundred of them in storage back at the shop. I pick up my commissions Monday through Friday at 8 AM sharp now, whereas before I would pick up my one for the day only to go back to my workshop and not have all the materials I needed to complete a C or D level request. During downtime between story missions and side quests, it’s worth your time to build the station plans acquired from donating data discs to the Research Center. The studious women who run the facility will sketch blueprints for new machinery and other useful technology that will help you expand your repertoire. If you have the space it wouldn’t hurt to build the newer models on your assembly station and keep the older models on hand. This lets you use these to create newly unlocked refined goods while your older stations work to maintain your stock of lower end supplies. Relationships are a huge part of My Time at Portia. By something so simple as talking to the citizens just once a day, you’ll slowly earn reputation points with them. Successfully filling their commission requests will do the same. Reaching higher friendship levels will unlock side-quests and can lead to some unique crafting blueprints from the Research Center. But can you get married in this game? Yes, you can! After successfully going through the dating process (and there is a whole fun bit of stuff surrounding dating), you can propose to your beau. If married life starts to get too rocky or you’ve fallen hard for someone else, why not get a divorce? And what about pets? I had a loyal dog who loved me just for filling his water bowl every day in Stardew Valley, you say. To that I respond, yes, you can in fact adopt a couple of animals in need of a loving home. I’ve been courting Pinky every day that I have fish in stock. My hope is that soon enough our relationship will reach the point where she lets me bring her home and she’ll sleep in the expensive bed I purchased from the rare merch vendor, the Mysterious Man. 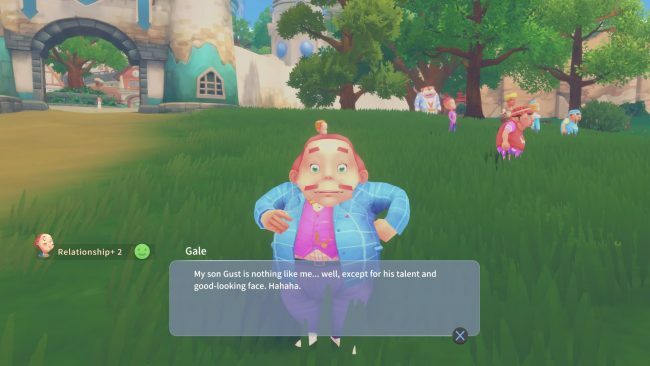 My Time at Portia isn’t without its flaws. For starters, side quests and commissions have timers on them. Should you run out of time they will be removed from your diary. It’s not a big deal when it comes to commissions but for those limited time side quests to vanish without a hope of return is kind of a gut punch. After losing one such quest because it coincided with a holiday event, I’m extra careful to make sure I don’t pick those quests up until holidays have passed. Another example is the Amber Island Cave quest, a main story mission I bring up with good reason. I ran through this cave and reached the final boss, but my inventory was full and I was out of healing items. So I used the convenient teleporter and zapped out of the cave. Several days passed before I had restocked my healing supplies and when I returned to the cave there was no way for me to continue back to the boss. Searching the internet to see if PC players had encountered told me there was supposed to be a teleporting pad just outside the cave’s entrance but I couldn’t find it. This is where I give a shout out to Bethany of Team17’s PR team. She showed me where the spot is supposed to be even when the game doesn’t load the teleporter so I can finally go back in there. I hated thinking there was going to be an incomplete story mission in my quest log. After an entire calendar year in Portia, there’s still so much more for me to do. There are new areas to unlock and explore, buildings to reopen, and I still haven’t convinced Gust that we should be married and become a powerhouse architect firm. I may not reconstruct every single lost relic that lays beneath Portia in the ruins, but I’ll be damned if I don’t get Gust to wear my ring. 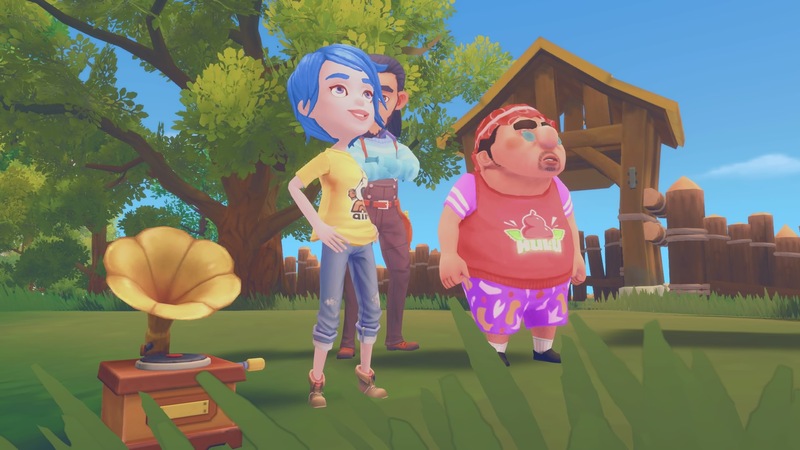 My Time at Portia review code provided by publisher. Version 1.01 reviewed on a standard PlayStation 4. For more information on scoring please see our Review Policy here. Plenty of things to build, with a bit of farming on the side.